How much do I love this podcast! I mean, it really is a lot of arguing, a lot of banter but a lot of love as we walk each other home at the end of the show. Interesting tidbit, Gab, Paolo and I are all Leos, so you can understand all the passion! This week on the show, we discuss Roberto Mancini’s exciting Italian National Team, the rise of Moise Kean, the brilliance of Quagliarella and the wonderful Zaniolo. Then as ever, we go into Mauro Icardi a little, what Juve should do if Ronaldo isn’t available against Ajax and what to expect from Lazio, Napoli and Milan this weekend! Oooh and who should get the Roma job? Click on the link to have a listen! I’ve had such lovely feedback on the Telegraph Audio Football club’s podcast. Usually this podcast had a rotating crew of people but this year the powers that be focused on the chemistry between the four of us and it’s been so much fun recording every Monday morning together. From Matt’s brilliant predictions to JJ’s excellent banter and interesting tactical mind. Thom just bring it all together. This week we have Sam joining us as Matt was in Montenegro as we discuss the English National Team, the race at the top of the Premier League and of course, European football! Click here for the link to listen! There’s nothing quite like a European slap in the face to awaken the senses, just ask Bayern Munich who won 6-0 over the weekend after their humiliating midweek loss to Liverpool. 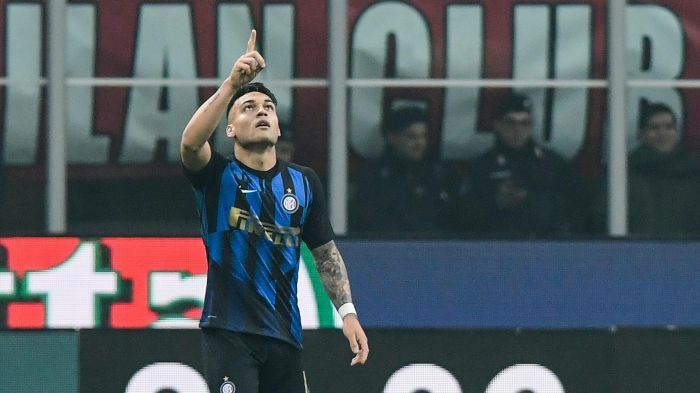 Inter, fresh from their own European defeat, albeit in the Europa League, were determined to prove their cojones against Milan and played a physically powerful and intelligent game to kick Milan back into ‘their rightful place in the league’, right behind them. · Luciano Spalletti talks too much but, on his day, he can pull out a tactical masterpiece. His idea to play Vecino as a playmaker made a world of a difference as Milan were left shocked and confused as to how to respond. · Lautaro Martinez has been fantastic and growing with each game. While he’s not yet the finisher Mauro Icardi is, he might just do more for the team in the final third. He dished out assists, fought from the top and has improved his ability in tight spaces. Scored one and assisted the opener. Clutch. · Rino Gattuso took too long to respond to Spalletti’s tactics and Vecino’s positioning but did eventually and played Hakan Calhanoglu in the centre to mirror’s Inter’s formation. It worked well as the Turk proved to be the biggest threat while Samu Castillejo provided a much-needed spark in Lucas Paqueta’s place after half time. · The stadium rallied around Milan when Tiemoue Bakayoko made it 2-1 but Inter’s fierce desire to win this, probably to fire off a message to the absent non-captain Icardi, pulled them through and earned them the points. I’m sure everyone has seen the video of Kessie losing it on Lucas Biglia and both players came out to apologise for the incident and their behaviour. (Click here for the youtube clip if you haven’t seen it.) However, it should be noted that racist chants from pockets of the stadium, aimed at Kessie, were heard. In a match that highlighted the beauty of Italian football, it’s a shame we still have to discuss the heinous behaviour of a few. Milan is lucky to have Kessie and we are lucky to have him in the league, to watch and enjoy as he helps push his club up the league. The Milan defence that conceded 3 league goals in all of 2019 conceded 3 against Inter. Roma are bereft of confidence, look super scared and fragile every time they were attacked. SPAL were good on the wings but still made mistakes, ones Roma couldn’t exploit. Sitting deeper than usual, as Ranieri likes it, they were aiming for simple football. Just trying to get the basics right in hopes of building esteem but they didn’t manage it and I’m still wondering why Eusebio Di Francesco and the project they were building was thrown away so quickly. Embarrassing side note: SPAL haven’t won a home game since the 17th of September, when they defeated Atalanta. When I came to write this, I wrote Genoa 2-0 Ronaldo. I wrote Ronaldo, not Juventus. Was that a Freudian slip? Are Juve Ronaldo dependent now? Juve benched the best player in the world, or at least the best winner in the world (yes, I watched Messi against Real Betis) and ended up losing their first game of the Serie A season. Ah well. They’re still 15 points ahead of Napoli and you have to forgive a side for being a little exhausted after the mentally and physically exhausting win against Atletico Madrid midweek. It was a little slap but nothing that should keep Max Allegri up at night. Meanwhile, some Juve fan somewhere inevitably still taunted Allegri, threatening his life for not winning every single second in football. Spoilt? Juve? Never… As for the rest of us? Lose a thousand Scudettos, just win the damned Champions League! Leo Bonucci is not the man who can teach young defenders. He needs Giorgio Chiellini. Daniele Rugani needs Chiellini, Martin Caceres needs Chiellini. Basically, Chiellini is MVP otherwise Juve concede, often. Rugani, even with Chiellini is pretty average at best. Pjanic should not be deployed so deep. That’s not where he shines. Mario Mandzukic needs a three-month holiday and a Piña colada. The guy looks shattered. This was a perfect Sampdoria game in many ways - when they are at their best, firing from all cylinders, tactically organised and technically brilliant. This was the game where Grégoire Defrel (played as a trequartista) shone, Fabio Quagliarella assisted and scored and every player in Sampdoria impressed. Sassuolo, on the other hand, were too naïve. Beautiful play and interesting build up play is good to watch but you also have to take note of who you are playing. Sampdoria is not a side that will sit and observe while you indulge in luxurious play and surely enough, Stefano Sensi was robbed and Samp opened the scoring on the 15th minute. Roberto De Zerbi’s men needed to be a little more defensively cautious and in the second half, Sassuolo’s coach made the changes and returned to a four-man defence. Sassuolo scored twice but it wasn’t enough to overcome a Sampdoria side that were playing at their best going forward if not always perfectly at the back. Gazzetta writes this about Sampdoria, “Their players, thanks to Giampaolo's lessons, have the knowledge to avoid traps and overcome obstacles.” If that’s true, then they wouldn’t have lost to Frosinone in such embarrassing fashion. No Plan B then, easily closed down, and unable to break through when not allowed to play beautiful football. If anything, they are a side that has yet to avoid traps and overcome obstacles. Against Sassuolo, they just overcame a technically inferior side that shares their problems with naivete. A final note on David Ospina, Napoli have confirmed the goalkeeper is back home after collapsing in their 4-2 win against Udinese on Sunday. Tests have confirmed the player has not suffered any lasting head injuries. “All the tests came up negative. The visits ruled out any problems. The diagnosis was that of a vasovagal syncope, which was resolved within a few hours. We have another episode of the Audio Football Club! This week we discuss the brilliance of Wolves and how come they keep impressing when other newly promoted sides often disappoint us. We analyse Liverpool, Watford’s chances of progressing, the Champions League draw and even squeeze in a roundup of European Football! It’s the new episode of the Serie Awesome podcast and it’s time to revel in Juve’s win over Atletico! We also discuss Allegri, the Milan Derby, Mazzarri at Torino and of course Insigne’s woes at Napoli. Listen in as we debate the hottest topics in Italy right now. Click on the link to listen in! This week, Matt Law, JJ Bull, Thom Gibbs and I discuss Sterling’s hattrick, Manchester United at Arsenal, the Champions League and more! Are Spurs really suffering a ‘mini crisis’. Click on the link here to listen in! One of my favourite ever shows, I’m back on the World Football Phone-In discussing FIFA Financial Fair Play and what would happen if I sold my naming rights to Burger King, what football means to Dotun, Tim and I and how globalisation is affecting our leagues. As usual, Tim sings, Dotun jokes and I pour endless glasses of water for my thirst self! Hope you enjoy! Gab, Paolo and I are back in the ESPN couch to discuss the fallout from Roma’s loss to Porto, discuss if Juve can stay in the Champions League and Torino’s remarkable rise amongst other things. There are the usual arguments, disagreements and of course polite nodding so hope you enjoy! Click here for the link to download. Download the latest Audio Football Club Podcast! Sadly Matt Law was travelling but we have Sam Dean instead! On this episode we discuss the pressure on Liverpool and whether they can handle it, Salah’s form, the North London Derby and the latest in Europe from El Clasico to Borussia Dortmund potentially blowing in the Bundesliga! YAY! I’m back and I was a finalist but did I win? Catch the latest episode hosted By Collin Murray and featuring Danny Mills, Greg Brady, Clive Anderson and I as we argue our points, laugh and inevitably fight it out! We get asked who is the second most disrespectful sportsperson after Kepa; who like Brendan Rodgers, traded immortality for mediocrity and what sporting incidents we wish we never saw as impressionable kids!! In our latest podcast, Paolo, Gab and I try not to argue so much as we discuss the mistakes Max Allegri is making at Juve, Fiorentina’s beautiful football, Milan’s growing brand thanks to Piatek and all Icardi woes at Inter. PS Gab thinks Sokratis from Arsenal is one of the cool guys in football. Is he? Click on the link here to download the latest episode! Ps, we are trying to record earlier in the week based on suggestions i’ve received via this website and Social Media so from now on, we will record on a Tuesday. However, if it’s a Champions League week then we will record on a Thursday, after the games! If you are one of the wonderful people who do come on here and check to see what I have uploaded then please accept my apologies for not having updated the website in a while! Thankfully I have had a very busy and crazy year and taken on all sorts of new jobs so I haven’t been paying attention to this as much as I should have. However, I will be making much more of an effort to keep you all informed of my latest work and just little blog pieces and videos that might be of interest. Thank you to those who send me lovely messages with suggestions and comments, I always like to hear from you. In answer to those who regular ask what I’m doing now. Here’s a brief list of the important stuff! 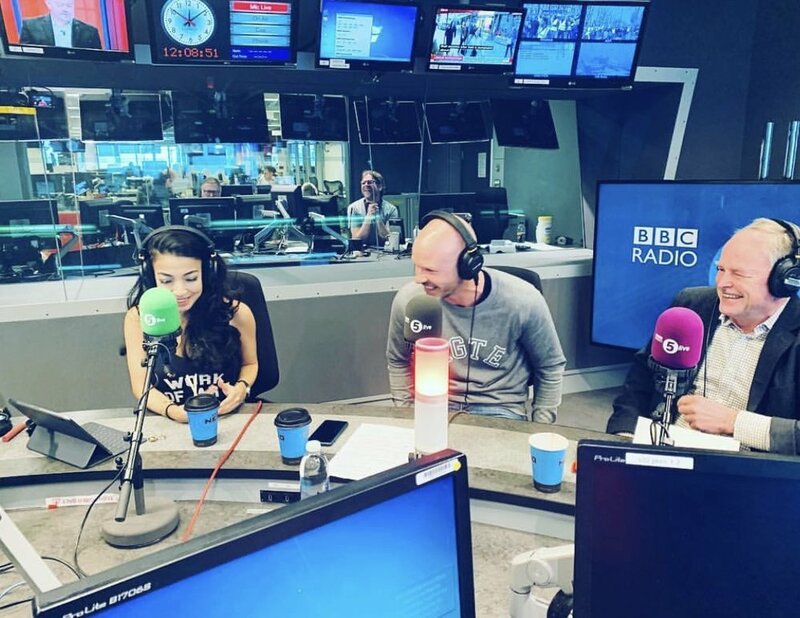 I no longer host the BBC Euro Leagues Podcast but I am a regular fixture there as a pundit when I’m available and in London, I still love to be a voice on it! 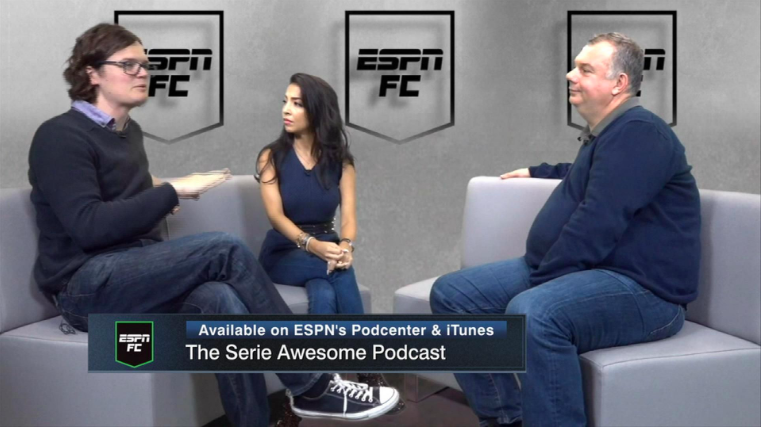 I instead have focused a lot of my energy on ESPN’s Serie Awesome Podcast which focuses on the big stories coming out of Italy and I absolutely love working with the best in the industry in Gab Marcotti and Paolo Bandini. I have also always wanted to be more involved in the Premier League so I also spend a lot of my time on the Telegraph’s Audio Football Club Podcast that’s recorded every Monday. It’s nice to be part of a concise show where I can flex my muscles on all things City and Liverpool and United etc. I am also a co-host and reporter for DAZN Canada for Champions League. That involves travelling, analysing matches and bringing you coverage of the best European games. DAZN is the name in football (soccer) and is growing rapidly so i’m thrilled to be part of the team and working with Colin Murray. I still of course love to do BBC’s World Football Phone in with Tim Vickery and Dotun Adebayo and feature on BBC’s Fighting Talk whenever I’m invited! And of course, never forget CNN Sport! I sadly don’t have much time to write anymore but if I do, I’m exclusively writing for both the BBC Sport website and ESPN. Hopefully I can keep adding to the list but in the meantime, thanks again for the support and the follow! Speaking in an interview in GQ magazine in 2016 he wryly observed: "'Allegri is a jerk,' they said. 'He plays at the casino, he bets on horses, he leaves a bride at the altar, he's just crazy in the head.'" 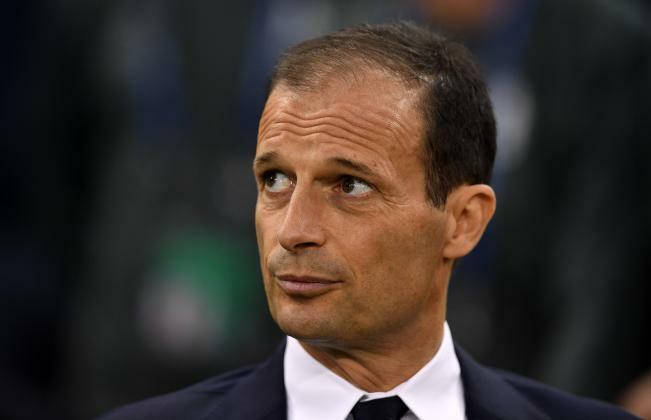 But whatever tribulations there may have been in his private life, Allegri's professional life has seen plenty of successes, culminating in his masterpiece, Juventus. Tottenham - led by a talented tactician of their own - now stand in the Italian coach's way as he tries to take his club on yet another journey through the Champions Leagues knockout stages. The sides meet at Wembley on Wednesday with their last-16 tie locked at 2-2 after the first leg in Turin. In a world where popularity means more than actual ability and, in a month when fans hope their clubs will buy the latest young superstar in the transfer market, Gianluigi Buffon celebrating his 40th birthday reminds us that sometimes, the good guys with an enduring legacy win. Unlike so many icons before him, Buffon has exploited his ego for good and dumped aside all the negative residue. There is nothing he enjoys more than playing between the sticks for Juventus and Italy before that, but aware of his age and the impact it can have on his performances, he's keen to not outstay his welcome as No. 1. In the latest episode of the Euro Leagues Podcast, Julien Laurens, Raf Honigstein, James Horncastle and I discuss all the latest in the European leagues. Why is Neymar a bit part player for Barcelona? What did Real Madrid change to beat Deportivo 7-1, Cologne is back in business while Napoli finally beat their bogey team! 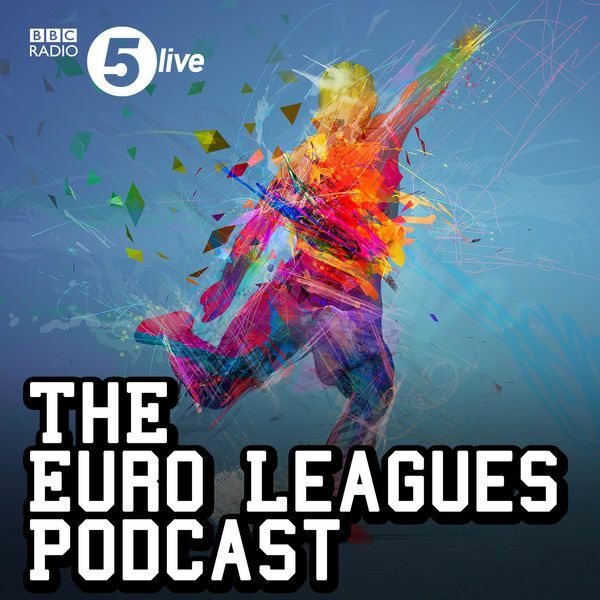 All that and more on BBC 5 Live's Euro Leagues podcast. Click here to download. 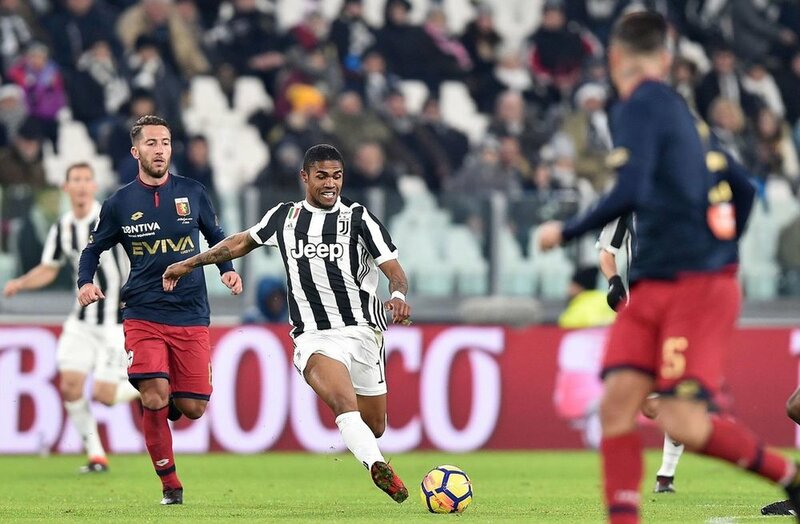 In a match void of intensity and great play, Juventus defeated Genoa, 1-0, on Monday to collect all three points and keep up the pace with Napoli ahead of them in the Serie A table. Scoring an early goal yet again, Juventus were in control for much of the first half as their opponents struggled with containing Juve's front line. Focused on their defensive duties, Genoa couldn't produce any danger in the first half. A little tactical tweaking from Davide Ballardini in the second half saw the Rossoblu crank up the pressure and play with greater ambition, playing further upfield in hopes of creating opportunities. Juventus host Genoa on Monday evening in their first game after the winter break. With Napoli defeating Atalanta to record another three points, Massimiliano Allegri is keen to ensure that his side perform to expectations to keep up the pace with the league leaders ahead of them. It won't be easy, and Allegri has made that very clear. Juventus have a habit of excelling when building momentum but tend to falter after a break. 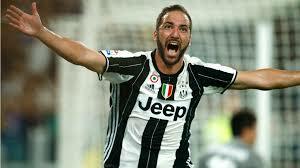 In fact, Juve have lost both matches after coming back from International break this season to prove that very point.